If you don’t implement your own medicinal strategy, you’ll be prescribed someone else’s … and theirs most likely won’t be anywhere near as effective as a preventative plan chosen by you with intention and care. The chaga fungus (Inonotus obliquus) constitutes a large portion of my medicinal strategy. Used for centuries in traditional Siberian medicine, it has been gaining a lot of popularity in the Western world. 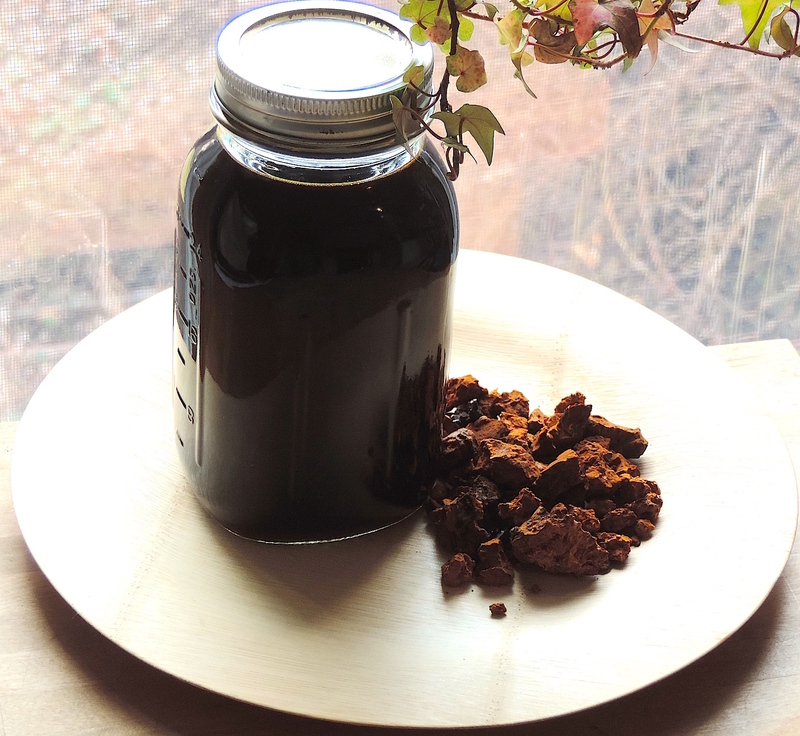 Scientific research repeatedly reveals that chaga possesses anti-tumor, anti-cancer, and immunomodulatory activities. Because of this, and because it grows in the birch forests of Pennsylvania, I have made wild-harvested chaga a medicinal staple. This is a photograph of an alcoholic extraction of chaga, created on November 22nd and pulled 6 weeks later on the January full moon. Included in the extraction are fresh vanilla beans for enhanced flavor. Remember, there’s more to health than the food we eat and the exercise we get. And although we most likely were never taught this in the high school health education classroom, a personalized medicinal strategy is also imperative for optimal health.